The 37th International Small Business Congress, taking place in Johannesburg from 15-18 September, will help to chart the way for small business development in South Africa, with a particular focus on emerging industries. 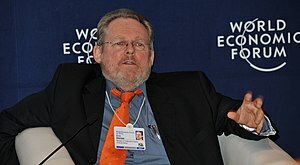 Briefing journalists in Cape Town on Monday, Trade and Industry Minister Rob Davies said the congress would provide a platform “to benchmark and draw lessons from both the developed and developing countries with a view of sharpening policy development and high impact programmes in the South African SMME sector”. It will be the first time that the congress is held on the African soil, and more than 1 000 international delegates are expected to descend on the Sandton Convention Centre to discuss the future and role of SMEs in the global economy. International Small Business Congress president Catherine Swift will be joining speakers from South Africa, Canada, England, Nigeria, Malaysia, Northern Ireland, Cameroon, Japan, France, Mauritius, Sierra Leone and India. The theme of the congress will be “Fostering small business in new and high-potential industries worldwide”. Davies said this theme was “of particular importance to South Africa, especially as we widen the market for South African goods and services through stronger focus on exports to the region and other economic groupings such as Brazil, Russia, India, China and South Africa (BRICS). via allAfrica.com: South Africa: Spotlight On Small Business Development. via Spotlight on small business development – SouthAfrica.info. Small business in South Africa will get a boost next year when the country hosts one of the biggest international business congresses in Johannesburg. 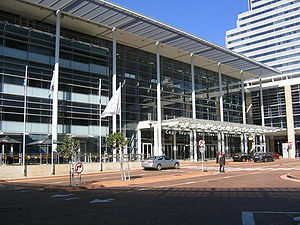 Representatives from the US, Europe and the rest of the world will gather at the Sandton Convention Centre between 15 and 18 September 2012 for what will be Africa‘s first International Small Business Congress (ISBC). The congress, which is hosted in partnership with The City of Johannesburg, Foundation for African Business and Consumer Services, Khula Enterprises and Finance and the Small Enterprise Development Agency, will showcase activities surrounding small business development in South Africa and around the world. According to 2012 congress director Septi Bukula, the focus of the conference is to expose small and medium enterprises (SMEs) to business opportunities in South Africa and in different parts of the world.